The basic design concept of the Casio QV-10 isn’t bad; in fact, it’s brilliant. But some boneheaded tradeoffs in the implementation along with some really sloppy software design combine to make the QV-10 a really weak product. 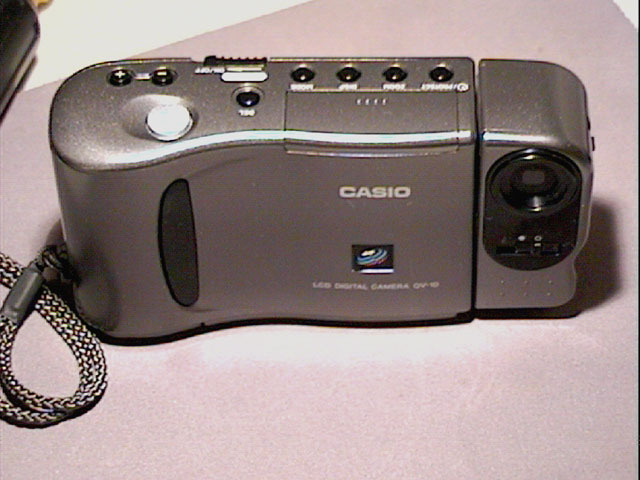 If you’d like to go read the official Casio description of this camera, just follow the link. I should point out right here that no digital camera can compete with its film-based counterparts in terms of image quality. In fact, a $100 35mm camera will produce images which are so much better than those produced by a $1,000 digital camera that you’d be embarrassed to put them side-by-side. The same can be said for any high-end 35mm SLR and a high-end digital camera like the $28,000 Kodak DCS-460. That said, the currently-available set of digital cameras remain eminently useful for electronic illustrations such as those commonly found on the Web. If photography is your reason for publishing on the Web, you’ll obviously want to use a more traditional method of image transfer, like Photo CD, but for simple illustrations requiring rapid turnaround time, digital cameras can be hard to beat. The QV-10 is about the size and weight of a small 35mm snapshot camera. One look at the back of the camera, however, tells you that it’s not one of those little snapshot cameras. Instead of a viewfinder, there’s a small (1.8″ diagonal) active-matrix color LCD which shows you what the camera sees. If you’ve seen Sharp’s ViewCam camcorder, you’ve seen the concept before; this is smaller and lighter, though, since there’s really nothing mechanical inside. The viewfinder works quite well in most situations; it is, however, virtually unusable when the camera is outside in bright sunlight. Unlike a 35mm camera, there’s no prominent image lens on this camera. The image sensor (a 250,000 element, 1/5″ CCD) is housed in the small section off to the right (when viewed from the front). That little section swivels through 270 degrees of travel, so you can even do a self-portrait if you’re so inclined. Here’s one place you can find an example of what’s right with this camera: when you’ve got the lens flipped around so it’s facing you, the LCD image is a left-to-right mirror image of the camera’s actual view. This makes composing the picture easier since the image moves as expected when you move. But when you capture the image, the correct (non-mirror-image) view gets stored. Images are captured by pressing a “shutter button,” just as on a conventional camera. But the shutter is electronic, so there’s no noise at all when you take the picture; the only indication you see is the word “WAIT” in the middle of the viewfinder screen for a few seconds while the image is stored to the camera’s flash RAM. The camera has 2 megabytes of flash RAM, enough for storage of 96 images. Exposure control is automatic, though a manual override (in the form of “+” and “-” buttons) is available. The effect of these controls is immediately visible on the LCD screen. The lens also has two mechanical aperture settings: F2 and F8. The lens is fixed focus; everything beyond 60cm at F2 (28cm at F8) is in focus. A macro setting is available; when active, the lens is set to focus on objects about 14cm away (again, of course, depth of field at F8 increases the acceptable focus range). The camera takes four AA batteries. A fresh set of alkaline batteries should last you about two hours, says the manual. My experience suggests that that two hours is measured on the alien planet I spoke of earlier; on Planet Earth, you’ll have about one hour before you see the “low battery” indicator come on. And you’d better heed that indicator when it comes on (more about this later). A self-timer button triggers a ten-second countdown, just as with a conventional camera. Under a little hatch on the top of the camera are three jacks. 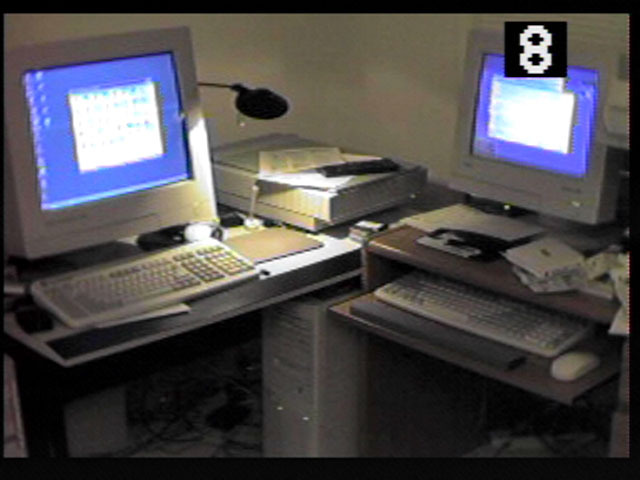 One connects the camera to a computer; another carries a video signal to a monitor, VCR, or video printer. The third and final jack is a 6-volt power input, which helps tame the camera’s voracious appetite for batteries somewhat. By sliding a switch on the back of the camera from “record” to “play,” you can use the monitor on the back of the camera to review the images you’ve stored. The “+” and “-” buttons move forward and backward through the images you’ve stored in the camera. 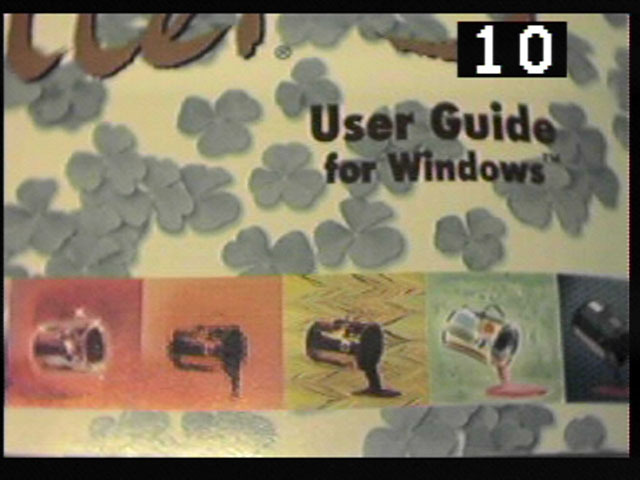 The image on the camera-back monitor is also also sent as NTSC composite video if you have the video cable connected. 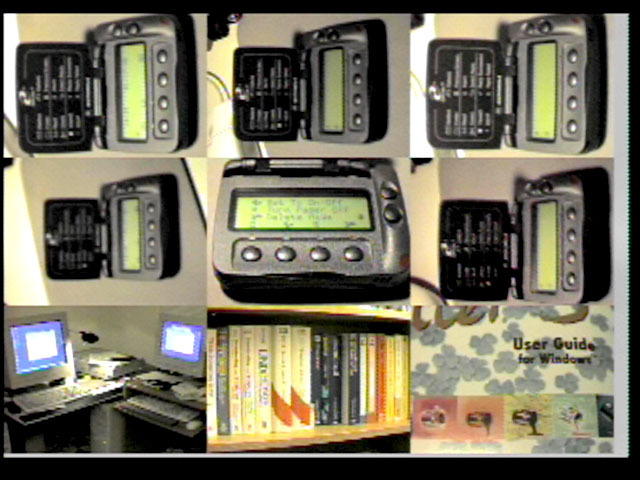 Here’s an image grabbed from this digital output (the object in the photo is a digital pager). The number shown in the upper right-hand corner is the “page number” in the camera (photographers would call this the frame number); the camera’s “DISP” button will show or hide this number. There’s a “MODE” button on the top of the camera which can be used to display four pictures at once in a two-by-two grid, or nine pictures at once in a three-by-three grid (pictured here). A “ZOOM” button will allow one to look at a portion of a single image; this looks pretty blocky, though. When an image is on-screen, the “DEL” button can be pressed; you’re given the choice to delete an individual image or all images. Any of the images in the camera’s memory can be marked “protected;” when this is done, the image(s) will survive the “delete all” operation and are not candidates for individual deletion. 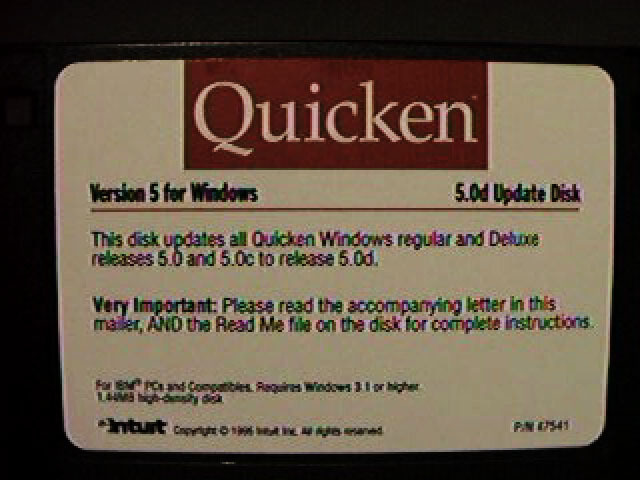 I installed version 1.2 of the QV-PC software on my Windows 95 machine and connected the faintly ridiculous-looking serial cable to my machine. (Mac software and a cable adapter are also included). 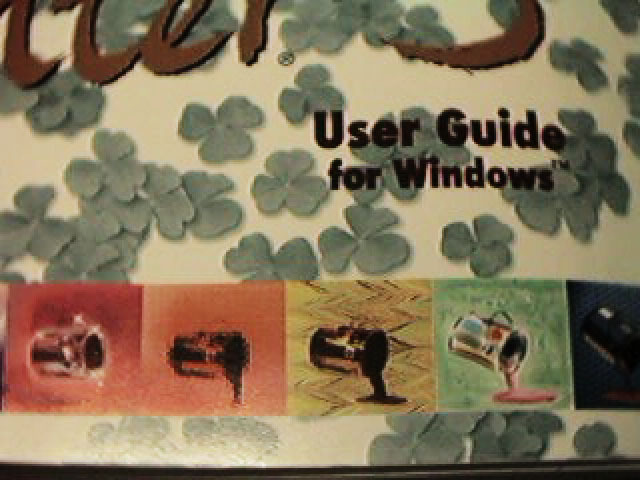 The software installed easily, and had no problems establishing a connection with the camera. Thumbnail images (in essence, a contact sheet), can be downloaded from the camera. Clicking on an image causes the LCD display (and attached video device, if any) to display that image; this could potentially be really useful for giving presentations. Double-clicking an image will download it from the camera to the computer. The only problem with this is that the images look really awful. Images downloaded from the camera have very visible compression artifacts. The astute reader will note that the pictures which follow are in JPEG format. 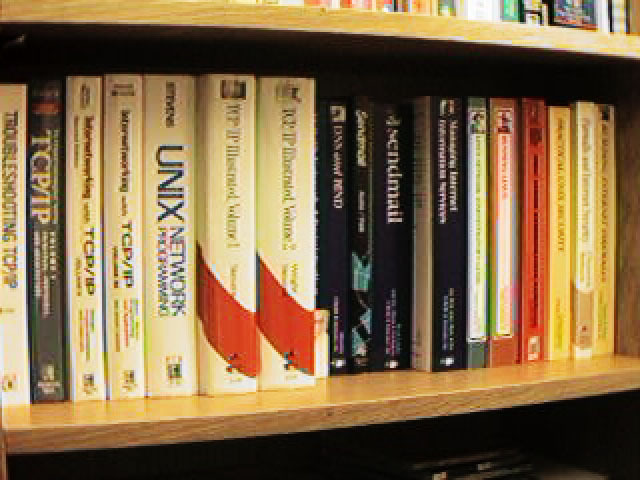 I converted these from the .BMP format saved by the camera software using Photoshop at the “high quality” setting. The compression artifacts you see are the camera’s work; they’re not from the conversion process. 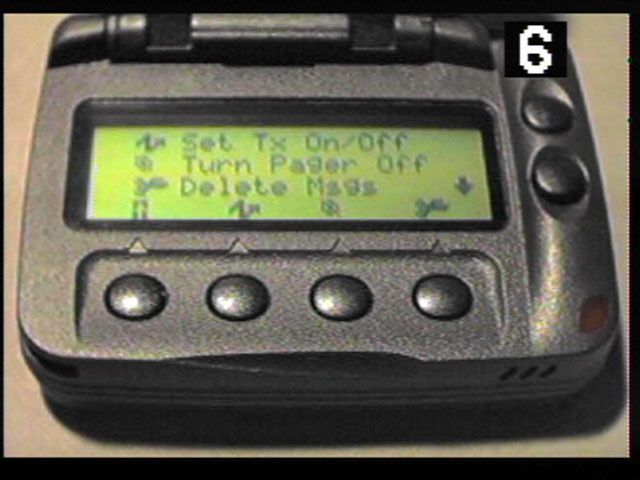 Digital pager photographed in macro mode. Low-light, high-contrast image. Check out those compression artifacts! (They’re especially visible around the head of the lamp). This is a pretty well-lit shot designed to test both resolution and color. Another resolution-and-color test, this time in macro mode. Macro-mode close-up of some fine detail. Again, check out the compression artifacts! I never thought I’d say this about anything, but the frame-grabbed NTSC video output from the device actually looks better (in general) than the straight digital output. (I used Play Incorporated’s “Snappy”video capture device for all of the video-captured stuff in this document). 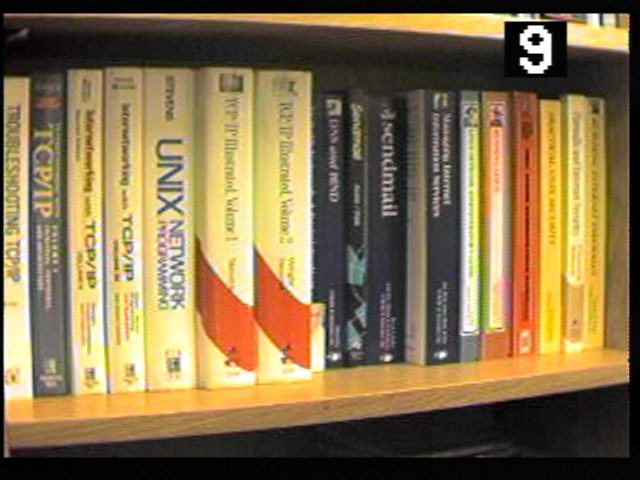 Compare these NTSC grabs with the digitally-transferred images. The left-hand column is the captured video (I had the DISP function on, so you can also identify them by the frame number in the upper-right hand corner). Click on any image for an enlarged version. 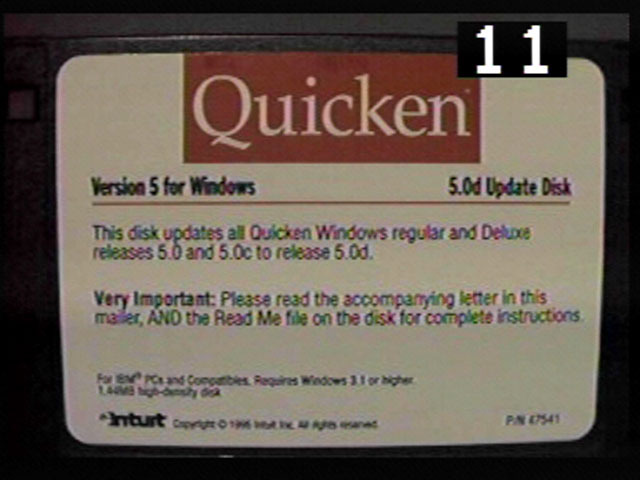 One of the most intriguing features of the QV-10 is that images can be uploaded from the computer to the camera; these bitmaps, of course, need not necessarily be photographs. Assuming the compression artifacts aren’t too objectionable (and that your type is large enough), the camera is a formidable presentation tool since an entire talk can be put on a very portable device; there’s no need for a laptop computer, LCD panel, scan converter, or any of the other gadgets usually associated with giving a presentation from a computer. Just find a large-screen monitor/TV, plug in, and go. So, what’s wrong with this picture? OK, so the image quality isn’t great, but the camera’s really small, holds a lot of images, and has great potential as a portable presentation tool. Every time you write to the camera’s flash memory, you risk turning it into a paperweight. “Well,” I thought, “I’ll call tech support now and find out how to reset the camera rather than wait for this to happen, which it invariably will some Friday at 5:01pm, right after their tech support folks go home. The technician who answered said that he was familiar with this situation and had, in fact, just spoken with one of the senior technicians about this very issue. 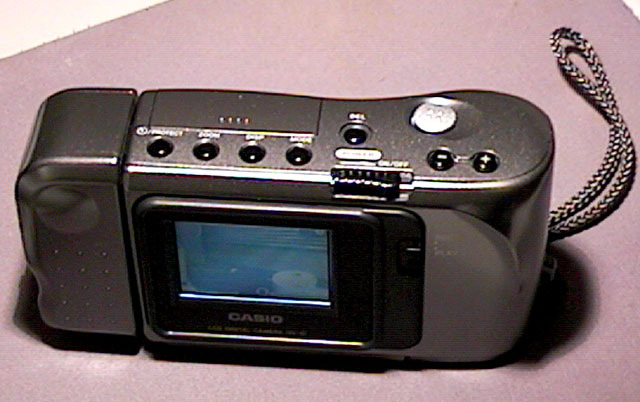 There is no way for the user to reset the camera; it must be sent in to Casio for service. My first guess upon hearing this was that the technician didn’t really know the answer, so he was simply making something up which seemed plausible to him but not me. After asking a number of fairly detailed questions, though, it became clear that he really did know this product pretty well, and this problem in particular. He did make the alarming suggestion, however, that I use nickel-cadmium rechargeable batteries after I expressed dismay at the camera’s hunger for AA cells. One wonders about the wisdom of this move, though, given the fact that the camera will self-destruct if the camera loses power when flash RAM is being written. The low-battery warning with alkaline AA cells is only issued with about seven minutes’ operating time remaining; given the discharge curves of NiCd batteries, this time could be a lot shorter. There is no way to recover from a FATAL ERROR :-( Then all you can do is send QV-10 to the shop for repair. How to avoid the FATAL ERROR: - Take care when you take a picture. (Because FATAL ERROR is a flash memory *WRITE* error.) - Avoid low battery voltage You should take heed of the low-battery indicator. <b>Don't use NiCd batteries</b> or manganese battery. - Avoid DC power supply disconnect--even if it's only momentary. Don't touch the QV-10 and the cables when uploading;-) - Use a <i>lithium</i> battery, if you can. It is expensive but has a very long life span. So, it’s just a matter of time, in my opinion, before the camera self-destructs. Maybe you’ll be lucky. Maybe you won’t. Put another way, would you trust the health of your hardware to the ability of Microsoft Windows to reliably communicate with the serial port? The concept behind this camera is, as I said before, simply brilliant. If it were just the fact that the image quality is kind of weak, it would be easy to forgive; after all, the device is a mass-market item based on camcorder technology. But it’s also fairly easy to, well, destroy the camera in the course of normal use, particularly if you use it for offline presentations–one of its greatest strengths. Combine that with a difficult-to-reach tech support organization, bad information regarding product usage, obstructionist policies regarding the software reset tool, and a lengthy turnaround time when service is necessary, and you have a great idea with some really fatal flaws. Casio has just announced their QV-30 camera. A revised version of the QV-10, it has a telephoto lens and a larger LCD panel display. The image capture electronics, however, remain largely (if not completely) unchanged. Image memory, in particular, has not been increased from the 2Mbytes of RAM found in the QV-10 This suggests that any improvements in image quality will be incremental improvements at best. According to the technician, the QV-30 will behave identically with the QV-10 if a flash write is interrupted, so this new camera has paperweight potential as well. It’s a great idea, really. But it’s ruined by flaws in the implementation. I’ve received some illuminating correspondence from Casio concerning this page. I’ve asked for permission to reproduce their note verbatim, because it’s pretty informative; unfortunately, however, I haven’t heard from them since. 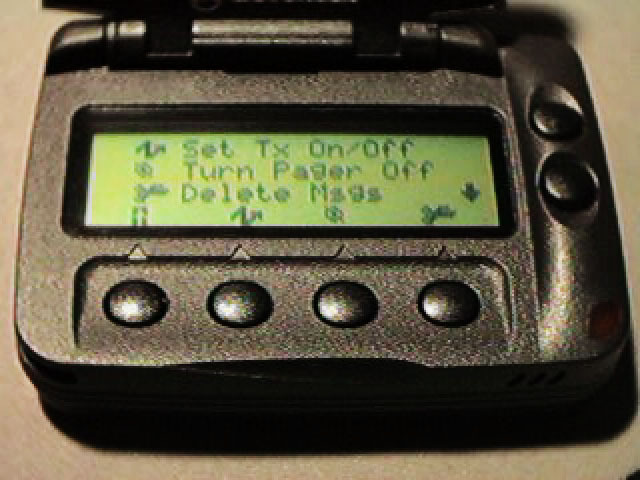 In any case, the Casio QV-10A is an updated version of the QV-10 which allows a user reset of the memory error condition. I also understand that, contrary to the information given to me by the technician, the QV-30 can be reset by the user. By holding the ZOOM and DELETE keys down during the camera powerup, one can access a system reset screen. Be warned: don’t do this unless you actually have the memory error problem, and be sure that the camera power is NOT going to fail during this operation (use the AC adapter or fresh batteries); problems during a reset can still turn the camera into a paperweight. Casio has announced a new camera, the QV-100. While I have not used this camera, it shows considerably more promise than its predecessors if for no other reason than its increased image resolution.